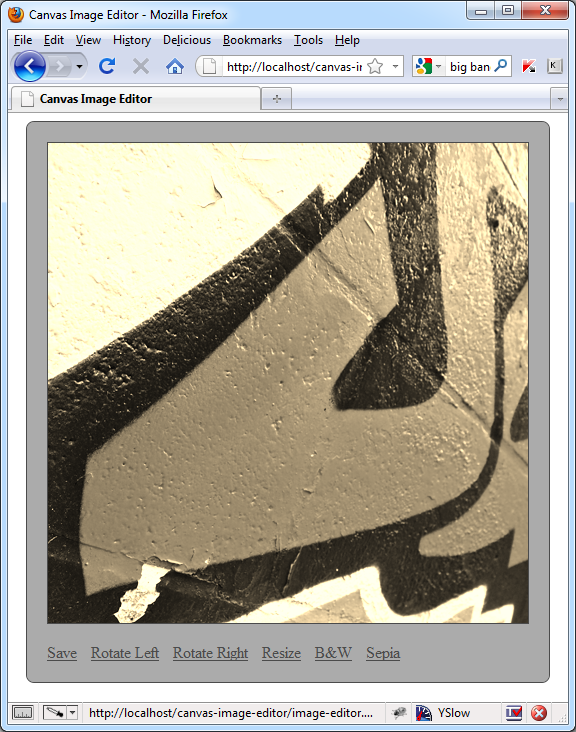 GFX9.COM share Build a canvas image editor with canvas, you can download now. We're not going to go wild with it, there just isn't time, but we'll be seeing how easy it is to do things like rotating, resizing, translating and even subtle color manipulation. Don't kid yourselves that we'll finish up with an equal to Photoshop, although that is in theory possible, but considering we're working within the confines of nothing more complex than a browser, personally I still think it's pretty remarkable. 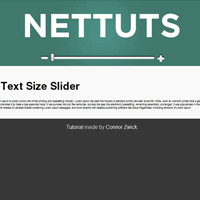 This tutorial includes a screencast available for Tuts+ Premium members. To produce a working version of the demo locally you'll need to use a Webkit-based browser such as Safari or Chrome, or Opera. The demo will work in Firefox, but it will need to be run through a web-server for most of the functionality to work. Don't even think about using IE; only version 9 even approaches support for the canvas element, and to be honest, I wouldn't even trust IE9 to render the code and functionality correctly. tag, we've got a reference to jQuery (current version at the time of writing is 1.4.4), a reference to jQuery UI (current version 1.8.7) and an empty script tag into which we'll put the code that gives the editor its functionality. 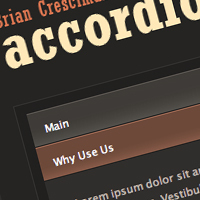 The jQuery UI components we'll use in this example are resizable and dialog, and the theme is ui-lightness. 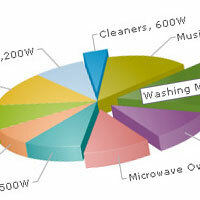 element that we'll use to manipulate our image. The second contains a toolbar of buttons that will be used to do the manipulations. From the id attributes given to each button it should be fairly obvious what each button does. First of all, we're placing all of our code into a closure and aliasing the jQuery object as the $ character. I realise that jQuery automatically aliases itself to the $ character for us, however, there are situations where this can cause conflicts with other code that may be in use when our code gets implemented by others. This is also the recommended way of creating plugins, so simply doing this every time jQuery is used makes it much quicker and easier to go back and turn code into a plugin if necessary. I simply find it more convenient to write all of my jQuery code within a closure like this. It has other benefits as well, such as removing a dependency on global variables – all the variables we create will be safely hidden from other code outside of the closure in most situations. To work with the canvas we need to get a reference to its context. This is an object representing the surface of the canvas upon which most of the methods for working with the canvas are called. A couple of methods can be called on the canvas object directly, but most are called on the context object. Both the canvas and context objects are stored in top-level variables (the equivalent of global variables were we not working within a closure) so that any functions we define can make use of them. Following these two variables we create another, called image. 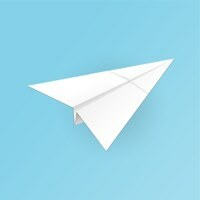 We use jQuery here to quickly and effortlessly create a new image element. We set the src of an image (a sample, royalty-free image is included with the code download) so that we have something to work with, and add an onload event handler that simply paints the image onto the canvas one the image has loaded. It is important when working with the canvas to ensure that any images used are fully loaded before they are added to the canvas. The image is painted to the canvas using the drawImage() method, which is called on the context object. This method takes three arguments (it may optionally take more, as we shall see later in the example); these arguments are the image to use (referred to using the this keyword), the x position on the canvas to start drawing the image, and the y position on the canvas to start drawing the image. The sample image is the exact size of the canvas in this example, and for simplicity is completely square. We're now ready to add some more code at this stage. There's a trailing comma after the image we created, so the next bit of code we add will also be a variable. Next we need to add the some code to handle the toolbar buttons. We could just add a series of click handlers, one for each button that we wish to add. Although easy to do, it wouldn't be hugely efficient and wouldn't scale incredibly well. It's as simple as that. Let's cover what this code does. The last top-level variable we create is called tools and it contains an empty (at this stage) object. The functions for each individual button will all be put into this object, as we'll see shortly. 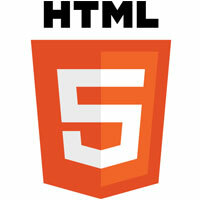 elements in the underlying HTML). Within this click-handling function we first stop the default behaviour of the browser, which would be to follow the link (this prevents the unwanted 'jump-to-top' behaviour sometimes exhibited when using standard elements as buttons). Now, if we add a function to the tools object under the property save, whenever we click the toolbar button with the id save, the function will be called. So all we need to do now is add a function for each of our toolbar buttons. of the page. This element will be used in conjunction with jQuery UI's dialog component to produce a modal dialog box. element created in the previous step. Finally, we initialise the dialog component; this done using the dialog() method, a method added by jQuery UI. An object literal is passed to the dialog() method which allows us to set its different configuration options. In this instance we configure the dialog so that it is not resizable and so that it is modal (an overlay will be applied to the rest of the page while the dialog is open). We also set the title of the dialog to a string giving instructions on what to do to save the object, and make the dialog big enough to contain the image by setting its width to the width of the canvas element plus 35 pixels. So we've added three new functions; a master rotate function, and then a function each for the rotate left and rotate right toolbar buttons. The rotateL() and rotateR() functions each just build a custom configuration object and then call the master rotate() function, passing in the configuration object. It is the master rotate() function that actually performs the rotation. An important point to note is that it is the canvas itself we are rotating, not the image on the canvas. The configuration object we create in the rotateL() and rotateR() functions is very simple; it contains three properties – x, y and r. The properties x and y refer to the amount of translation that is required and r is the amount of rotation. Each click on a rotate button will rotate the image by plus or minus 90 degrees. The rotateR() function is just as straight-forward, this time we translate the canvas on the horizontal axis instead of the vertical axis and use a positive number for rotation in a clockwise direction. In the master rotate() function we again need to grab a copy of the current image on the canvas, which we do by creating a new image element with jQuery and setting its src to the result of the toDataURL() method again. This time we do want to draw the image back to the canvas once the canvas has been rotated so we add an onload event handler to the image. 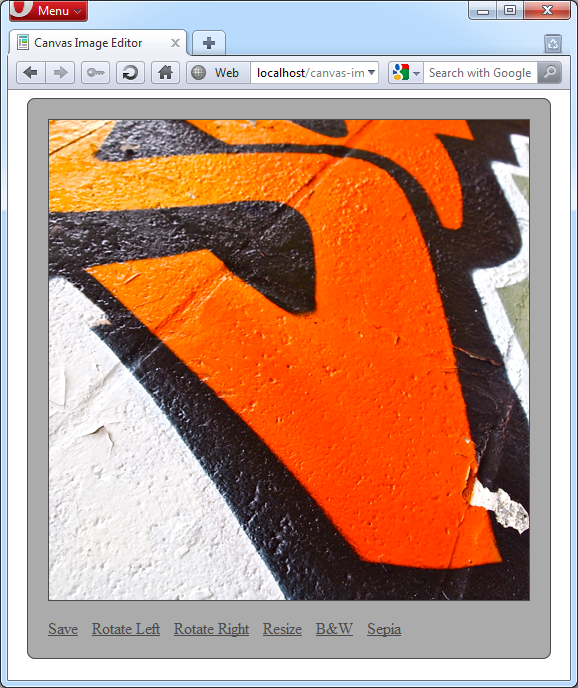 Once the image has loaded we first clear the canvas using the clearRect() method. This method takes four arguments; the first two arguments are the x and y coordinates to begin clearing. The thrid and fourth are the size of the area to clear. We want to clear the whole canvas so we start at 0,0 (the top-left corner of the canvas) and clear the entire width and height of the canvas. Once we have cleared the canvas we translate it (move it essentially) using the translate() transformation method. We will translate it either the full height, of the full width of the canvas depending on whether the rotateL() or rotateR() function initiated the rotation. Translating the canvas is necessary because by default rotation occurs around the bottom right of the canvas, not in the middle as you would expect. html: "Image will be resized to " + resizeWidth + "px wide, and " + resizeHeight + "px high. So let's see the steps required by our resize function. 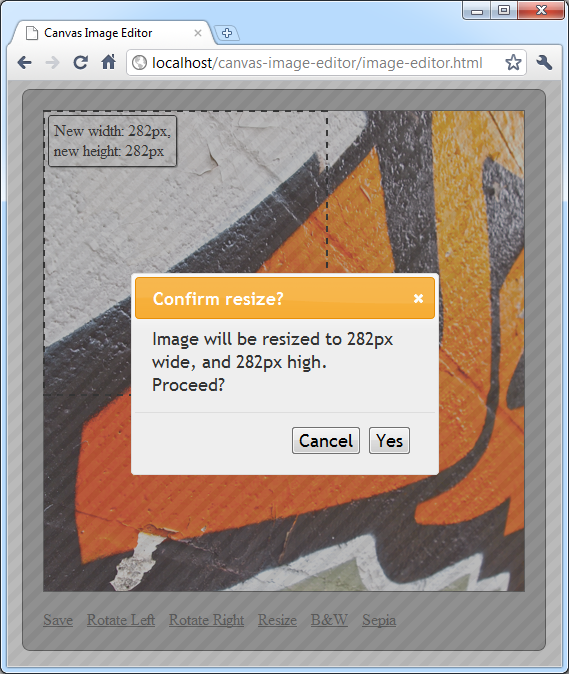 First we need some way of indicating to the user what size the image will be resized to, and the user requires some way of setting the new size. We then want to confirm whether the user wishes to apply the new size, and then if so, apply the new size. The new function does all of the things, let's see how. Next we initialise two more variables, but set their values to null for the time being. These will be used to store the width and height that the resizable is changed to when it is resized. These variables will be populated and used later in the function. 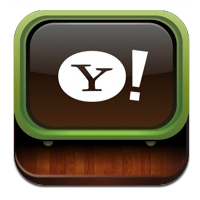 The xpos and ypos variables are used to position a tooltip that we'll create in a moment. 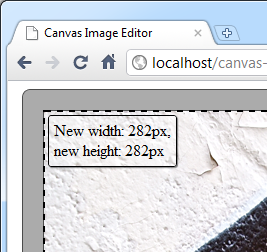 They position the tooltip 5 pixels from the left edge and top edge of the canvas. Next we initialise the resizable using jQuery UI's resizable() method. We configure the resizable to have its aspect ratio locked; our image is square, so we want it to remain square whatever size it is resized to. We also ensure the image can't be increased in size so that the quality of the image is retained. If the image were enlarged instead of being shrunk, it would become blocky. The maxWidth and maxHeight configuration options ensure the image can only be made smaller. Both are set to the current width and height of the canvas respectively. The resizable component has some custom event handlers that we can assign functions to which will be executed when these custom events are fired. We use two of these event handlers for this example; resize, which will be fired every time the resizable is resized, and stop which is fired once the resizable has finished being resized. The resize function can receive two arguments; the first is an event object, which we don't need to use in this example, but which must be declared in order to make use of the second argument, which we do need. The second argument is an object which contains useful information about the resizable, including the size it has been changed to. The first thing we do in this function is assign the new size of the resizable to our resizeWidth and resizeHeight variables using properties of the ui object that the function receives. The stop function, which is executed once when the resize interaction ends, first creates a new dialog element which checks that the visitor wants to apply the new size to the canvas. Once again the dialog is configured so that it isn't resizable itself and so that it is modal. We also add some buttons to this dialog. The first is a cancel button, which allows the visitor to back out of the resize operation without applying the new size. 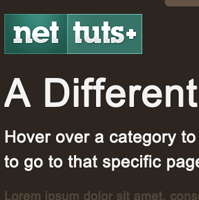 All we do here is some housekeeping, removing the dialog, the resizable, and the tooltip. The first thing this function needs to do is to get the current pixel data of the canvas. We use the getImageData() method to do this. This method accepts four arguments, which are the same as the clearRect() method that we looked at earlier – the first two arguments are the x and y positions to start collecting data from and the third and fourth are the width and height of the area to get. We want the whole canvas so we start at 0,0 (top-left) and continue for the width and height of the canvas. The resulting object returned by the method is stored in the imgData variable. The object stored in this variable has a property called data; within this property is an array containing the r g b and alpha values for every single pixel in the canvas, so the first item in the array will contain the r value of the first pixel, the second item contains the g value of the first pixel, the third contains the b value of the first pixel, and the fourth item contains the alpha value of the fist pixel. This array is incredibly large; a 480 by 480 pixel image contains 230400 pixels and we have four items for every single pixel. This makes the array a total of 921600 items in length! This length is also stored for use in the for loop that we define next. The for loop is a little different than usual for loops. Remember, the array can be organised into discrete blocks of 4 items, where each item in a single block refers to the individual rgba components, so we loop through the array four items at a time. On each iteration we get each pixel component and then use the formula r * .3 + g * .59 + b * .11 to convert each one to greyscale. We then save the converted pixel component back to its original array item. Once we have looped over the entire array, we can write the array contents back to the canvas, replacing each original pixel with its new greyscale counterpart using the putImageData() method, which simply does the opposite of getImageData(). 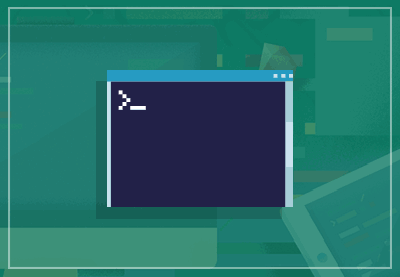 In this tutorial we've seen how the canvas can be turned into a powerful image editor that gives us some of the functionality of the basic, application-based image editors with which we are familiar. This example could easily be extended to add other features, such as cropping, and drawing with a pencil tool, although I'll leave the addition of this functionality to you. Thanks for reading.